The brand new Temple of Tiny Monkeys will be open for the first time on Saturday, April 13. "For such tiny animals, they have huge personalities," Animal Care Supervisor Alex Zelazo-Kessler said in a release. "They're super active and it is fun to watch their antics and how they interact with each other, as well as their environment and their enrichment." The tiny monkeys are all squirrel monkeys, with Parker being the only boy. He is also the youngest of the troop, having recently turned two years old. 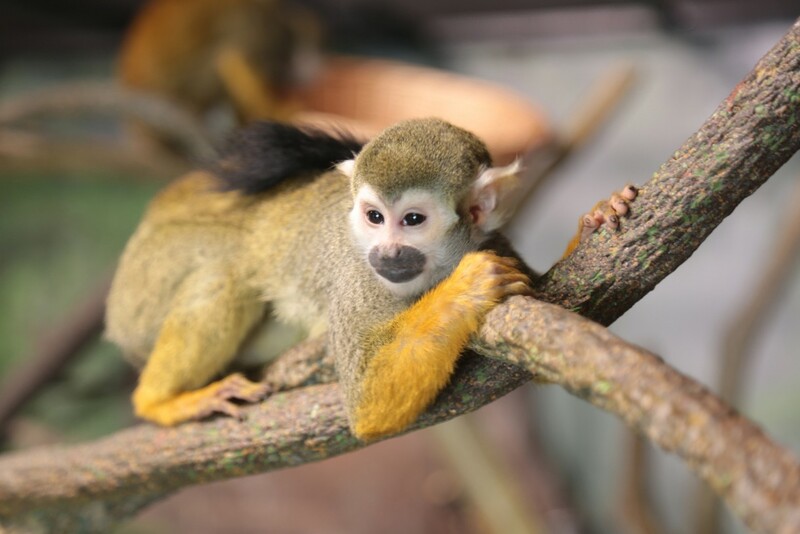 Squirrel monkeys are some of the tiniest primates, measuring in at about a foot long with another 16 inches of tail. Their long tail is perfect for helping them balance as they use their hands to swing through trees. "It's really great to bring a treetop level animal into the South America loop at the Zoo," Zelazo-Kessler said. "We have Andean bears, jaguars, capybaras, and South American birds, but we haven't had a canopy-dwelling species from the area in some time. They bring a different aspect of South America to the Zoo."